Nonjatta: Japanese Fakes: Bidder Beware! About a year ago, we reported on the strange case of the 1988/2006 Full Proof Hanyu, which seemed to be a fake but wasn’t… We ended that post with the observation that – until then – not a single specimen of a fake Japanese whisky had been documented. That was then... this is now. With the increase in Japanese whiskies at auctions – both the number of bottles offered at high-profile (online) auctions around the world and the hammer prices for these – skeptics suspected it was inevitable that fakes would eventually turn up. Unfortunately, we have received well-documented reports that this has been happening lately, and although we cannot publish all the specifics of these reports (some of which are currently under investigation by the auction houses involved), we wanted to sound the alarm bell so that those who are active in this field can increase their alertness when it comes to the inherently risky enterprise of bidding on rare, expensive whiskies. To give but one concrete example, here are two “Ace of Hearts”… Were it not for the fact that the buyer already owned a (bona-fide) bottle, s/he would never have suspected s/he’d bought a fake at auction. Since very few people actually open bottles of this caliber (i.e. Ichiro’s cards, Karuizawas, etc), they have no reference in terms of taste. In this case (a sloppy faker at work! ), the colour clearly gives it away, though. 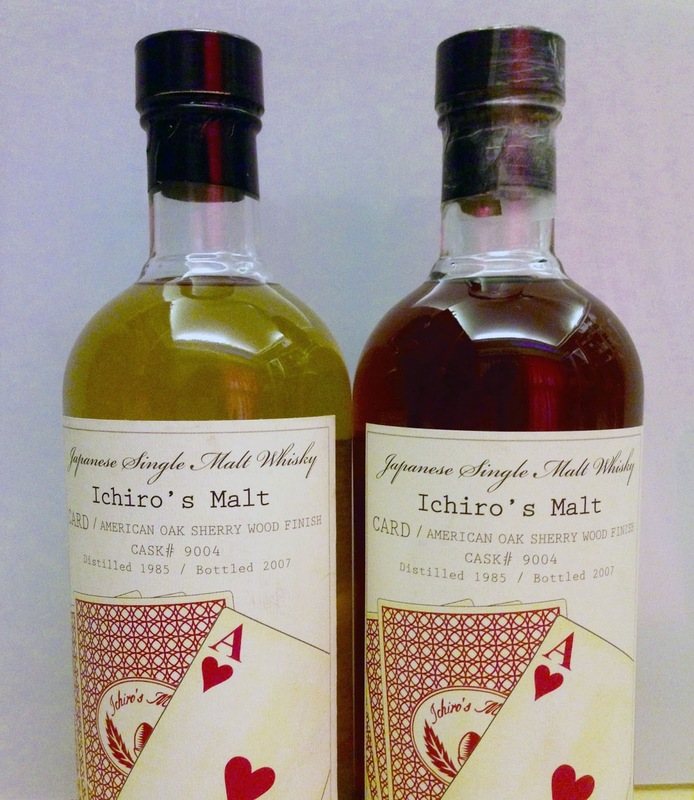 Either the faker obtained an empty “Ace of Hearts” and filled it with who-knows-what, or the faker used another Ichiro’s Malt bottle of the old type (which Akuto-san used for all of his releases until he switched to the current bottle type), using an Ichiro's whisky of “lesser value” and simply removed the original label and applied a duplicate or one taken off an empty “Ace of Hearts”. There are indications that these fakes are not one-offs, as in some cases, pictures of the 'same' release at other auctions show a liquid with a similar (i.e. wrong!) colour. 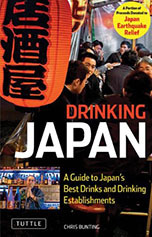 One should not forget that the Japanese whiskies that currently command the highest prices at auctions – and we are talking about the price of a small car in some cases for a single bottle – are bottles that come from what was in reality a cottage industry at the time of release. Bottles of Hanyu, Karuizawa and the like were bottled by hand when they were released – in most cases, literally hand-filled and hand-labeled one-by-one – so creating fakes is technically fairly simple. All of this to say: buyer beware! Even reputable auction houses have very little expertise in authenticating Japanese whiskies and for every fake that is discovered, probably dozens slip through the net, their new owner unaware that they’ve got something on the shelf that isn’t really what they p(r)ayed for. I am not at all surprise with these fakes. In fact, I have observed since early this year that there are many empty bottles sold on Japanese auction sites. For example, an empty "Joker Monochrome" bottle from the famous Hanyu card series were sold for JPY 305,000, another lot of three empty bottles from the card series were auctioned off for JPY 200,000 and so on. Its quite obvious why bidders paid high prices to obtain them. If I did my calculations correctly, the returns for producing a fake Joker Monochrome bottle alone would be more than 300%, since a bottle of Joker monochrome would easily go for JPY 950,000 or more in the auction market. I am very sure that more fakes will surface as the prices of these exotic and rare bottles continue to climb northwards. Any tricks to identify the fake ones? If I'm correct the one on the left is the fake one (colour is not correct). I have red somewhere you can test the bottle by shaking it. The high alcohol percentage of the liquid shows less bubbles than the fake one where they mostly use whisky with a lower alcohol percentage. Yes, the fake one is the one on the left in the picture. To be honest, there is no real way of making sure the bottle is genuine. In the cases discovered so far, the fakers were very sloppy. 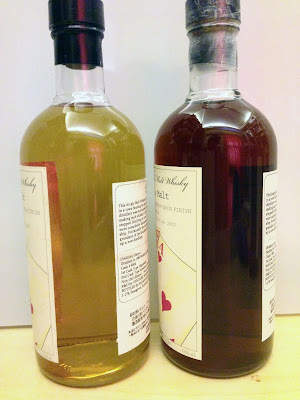 (I mean, why go through the trouble of faking a high profile Card bottle and then put liquid with a clearly different colour in the bottle!?) Usually (unfortunately!) fakers are much more savvy and they would fill the bottle with a liquid almost identical in colour, abv etc. Basically, and this is no exaggeration, with the Cards the ONLY way of making sure the bottle is not fake is by having a 100% genuine bottle at hand and open, and then the other bottle - side by side - so one can nose and taste. But... I do realize that 1) that is a pretty rare situation (hence the prevalence of fakes... especially unsuspected fakes!) and 2) people rarely pay these astronomical prices to open and drink these whiskies. I promised to myself that one day I will open and enjoy the two Hanyu cards I bought for JPY 7000ish at the time. Who in their right mind pays the equivalent of a small car for a bottle? I can`t bring myself to feel sorry for these guys, they asked for it. This collecting thing created this situation, along with the Japanese Whisky hype that spoils even the standard bottlings for everybody. I will buy my next Japanese bottle when supply and demand meet somewhere reasonable, be it 5 years from now or 10. Why doesn't anyone in Japan (in the industry) lobby Yahoo! auctions, to stop these empty bottles being sold, with bottle #s blurred out etc? I've observed HUNDREDS of empty card series bottles being sold there over the past few years....along with many others of course. I spotted the empty monochrome Joker that sold for £1600 too. Well, that is never going to happen - the Japanese industry lobbying Yahoo auctions to stop the sale of empty bottles. After all, there is nothing wrong with selling empty bottles; just like there is nothing wrong with renting CDs and DVDs from your local video store... What happens then, of course, is a different matter. If you copy and sell said CDs or DVDs, you are clearly committing fraud. Likewise, when you sell a fake bottle... However, nobody in the industry (least of all the small guys) will take any actions on this front. 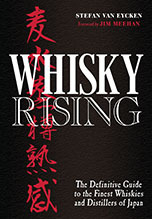 One should also keep in mind - and I have to phrase this tactfully - that producers indirectly benefit from the current crazy auction climate as far as Japanese whisky is concerned. It allows them to price their new products so incredibly high, at prices that NOBODY would have accepted even one year ago. Obviously I am not saying it is in their best interests to have fakes circulating - that is clearly NOT the case - but it is a part of the market (the secondary market) they have no control over. Really need help here, is there any possible fake Hibiki 17? Recently brought from friend but high price, just afraid it is fake too! How to differentiate it in fact? Thank you for kind input! It's difficult to comment on whether it is possible you got a fake Hibiki 17... very often, it is only possible to tell by checking small details and comparing it with a bona fide bottle!